Akram Khan is at the forefront of 21st-century British dance, fusing Indian Kathak and contemporary styles. His collaborations with other dancers, musicians and visual artists alike have taken the dance world by storm with their incredibly unique composition and insightful outlook on modern life, the nature of the self, and human relationships. Khan was born in London, 1974, into a Bangladeshi family and began dancing at the age of 7 under the Sri Pratap Pawar’s tuition, a distinguished Guru in the North Indian dance form ‘Kathak’. By the age of 10, Khan had his first acting role in ‘The Adventures of Mowgli’ and later in Peter Brooke’s ‘Mahabharata.’ By 1994, he began studying dance at De Montfort University where he first encountered to contemporary dance, a whole new world compared to Kathak. After transferring to Northern School of Contemporary Dance in 1996, he graduated with the highest marks ever awarded. These early influences on Khan are a part of what makes his style so unique, his collection of different dance cultures, contemporary dance practitioners and drama along with his own dual nationality sets him apart as an artist. One of Khan’s first major works was ‘Zero Degrees’ (2005) with Sidi Larbi Cherkaoui, so called because it explored turning points, the transition between water and ice, the boundaries between countries and the line between life and death. It is based on Khan’s train journey from India to Bangladesh, where he witnessed a man die from a heart attack and saw his body dragged onto the station platform. Elements of his training shine through, like when he performs over 30 Kathak-style chakkar turns in remarkably quick succession and technical precision, rapidly spiralling as though spiralling into his guilt of complacency. The spoken elements, aided by Cherkaoui’s, add a dramatic tone and the cleverly choreographed unison elements between the two dancers and their dummy replicas (made by Anthony Gormley) imparts a macabre wit. ‘Sacred Monsters’ (2006) was a further piece created in collaboration with ballet dancer Sylvie Guillem. Both dancers recount their experiences of the classical world in their own solos before meeting in duets and letting their styles interweave, breaking free from the strict rules of their dance training. This work, more so than previous pieces, emphasised Khan’s collaboration with the composer as the musicians play live on stage throughout the dance. Khan once said in an interview that, ‘the relationship between dance and music is so important that if you don’t understand the music, you don’t quite understand the dance’. Music and dance are two highly integrated forms, arguably more so in the Kathak style because the intricate footwork rhythms are derived from the same vocabulary of spoken syllables found in Indian classical music. ‘Sacred Monsters’, then, examines the interconnected nature of art forms. In recent years, Khan choreographed the ‘Abide With Me’ section of the London 2012 Olympic’s opening ceremony, with his own company showcasing the diverse inclusivity of British culture. In 2016, Khan partnered with the English National Ballet to create a new, contemporary version of ‘Giselle’. This incredible contemporary ballet, which received five-star reviews all around, took a classic tale and made it hauntingly beautiful, with references to modern poverty and the movement of people. 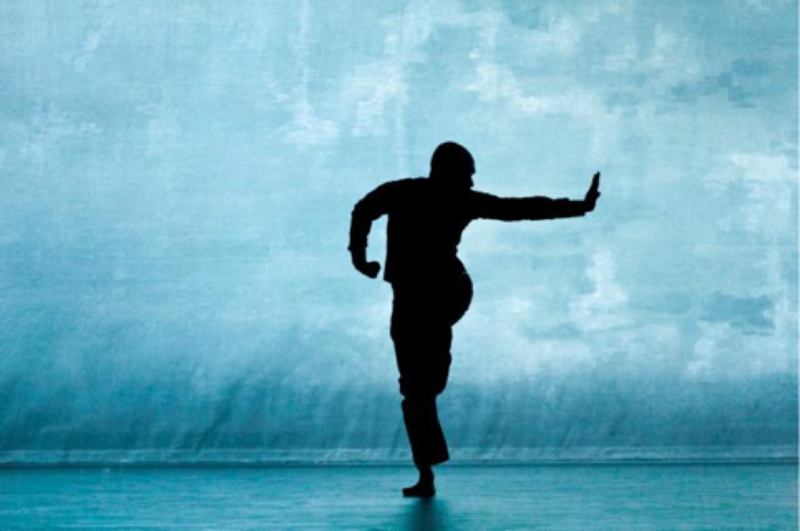 A pioneering dancer in the modern age, Khan exemplifies the need for cross-cultural dialogue, for the exploration of issues which affect all people, such as life, religion, relationships and collaboration. Many identify Khan’s work by his dual nationality and how his work reflects this internal conflict between two cultures, but at its heart, Khan’s stunning choreography indicates a need for fusion rather than division. Previous articleIs fitness fashion just a fad?